After a long wait, the US Navy resumed FON (Freedom of Navigation) operations in the South China Sea (last carried out in 2012) on 27 October, with USS Lassen sailing within 12 nautical miles of Subi and Mischief Reefs, and conducting actions incompatible with innocent passage, in order to make it clear Washington does not recognize any territorial waters arising from the artificial islands built by Beijing through reclamation on low-tide elevations. On the other hand, in line with long-standing American policy, the US also emphasized that it was not taking sides concerning the underlying territorial disputes, and that freedom of navigation operations were aimed at any excessive maritime claims, underlining this by also sailing through waters around features claimed by Vietnam and the Philippines. Commentary has focused on the need for further FON cruises, and on China’s response, including the possibility of Beijing declaring an ADIZ (Air Defense Identification Zone). Freedom of Navigation is indeed one of the pillars of both the post-war open economic system drawn up during the Second World War, and of the traditional American reliance on the ability to move troops by sea (in line with the British Empire, and its tandem Royal Navy – Indian Army). Therefore, contesting Chinese maritime claims is indeed an important policy goal, and furthermore one that should be shared by other maritime democracies. However, we must ask ourselves whether this is all. 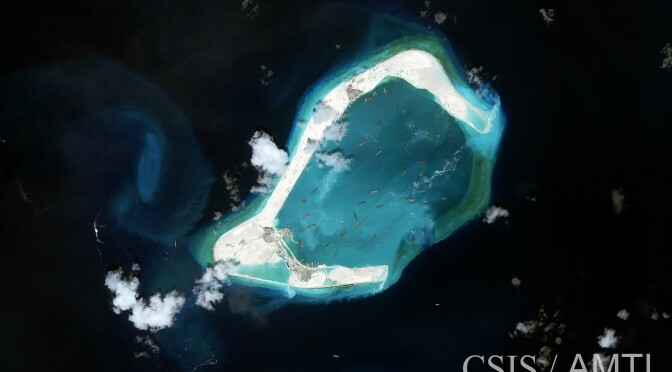 Furthermore, the time may have come to consider whether agnosticism on territorial claims is a sustainable policy, and whether the US can afford to see allies like the Philippines lose further territory to the PRC. Even if FON operations become a regular feature and China’s extensive reclamation work turns out to pose no obstacle to peace-time navigation by merchantmen and warships, we would be fooling ourselves if we thought that there is no price to pay for failing to confront Beijing. First of all, an extensive network of man-made islands could make it much more difficult to operate in the region in the event of hostilities. Second, by condoning the violent taking of contested territories, the principles enshrined in the UN charter and in UNSC Resolution 502 would risk becoming irrelevant. Concerning the latter, being neutral concerning territorial disputes can be interpreted in two ways. 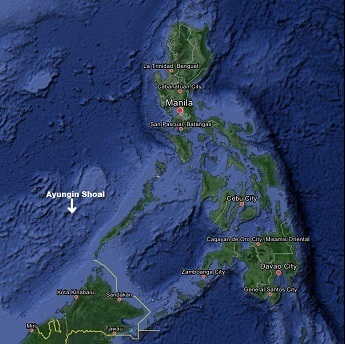 Up to now in the South China Sea it has meant Washington not supporting any competing claims. However, this is no longer enough. The Philippines’ marines have been making a heroic stand at BRP Sierra Madre, guarding Second Thomas Shoal (Ayungin Shoal / Ren’Ai Jiao) while surrounded by hostile ships bent on preventing their resupply. However, given the much larger forces available to China, this strategy may not be sustainable. Furthermore, despite an existing mutual defense treaty and growing capacity building assistance (also provided by Japan), Washington has de facto been signaling Beijing that the occupation of the Second Thomas Shoal would not be considered an attack on Filipino territory. This increases the risk of a miscalculation, should China come to believe that the US will stand on the sidelines in such an scenario. Mutual defense treaties are not of much use if restricted in their geographical scope. An alternative policy would be to embed USMC personnel in their Filipino counterparts, while explicitly announcing that despite still not taking sides on the ultimate issue of sovereignty, the US considered the Second Thomas Shoal (and other disputed territories currently under actual control by Manila) to fall within the purview of the US-Philippines Mutual Defense Treaty. 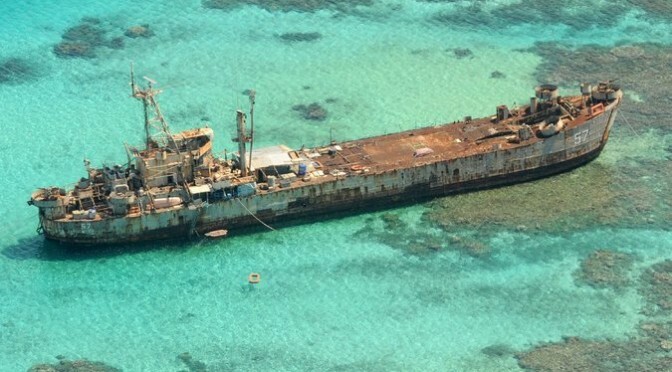 American policy would then be to actively seek to prevent changes on the ground, including expelling Filipino military personnel from the Second Thomas Shoal, while still pressing for a mediated (or arbitrated) solution, in line with US support for the international arbitration bid currently under consideration by the Permanent Court of Arbitration. Preserving the status quo requires extensive work on the BRP Sierra Madre, or its replacement by another ship or structure. In other words, America would be moving from passive neutrality to active neutrality. From merely declaring that differences must be settled peacefully in accordance to international law, to helping freeze the status quo so that revisionist powers are not tempted to gain in the field of battle what they should only be claiming in the diplomatic table or the courtroom. A precedent for this are Japan’s Senkaku Islands, also claimed by China and Taiwan. After some doubts and conflicting reports on whether the US-Japan Security Treaty extended to them, Washington explicitly announced that they did, while remaining non-committal about ultimate sovereignty. Japan, having greater maritime and naval capabilities than the Philippines, employs a different strategy to protects the islands, shielded by the country’s coastguard without any permanent ground deployment. Should Tokyo decide, or be forced, to permanently deploy some ground troops, it would also be positive to see USMC personnel embedded in them. We could also mention the occupation of Iceland during the Second World War, before Pearl Harbor. Being neutral in a territorial dispute does not just mean supporting its peaceful resolution in accordance with international law. That is only the case when all sides involved renounce the use of force. When one refuses to take this step, and regularly resorts to it, notwithstanding the fact it is mostly of the non-lethal kind, the only alternative to appeasement is active neutrality, meaning a deployment designed to provide a tripwire, lessening the risks of miscalculation and signaling that aggression will not be condoned. Only this can provide the necessary incentives for a future peaceful resolution of the conflict, where Washington would indeed be neutral concerning its outcome, yet having avoided neutrality regarding how it came about.